Coming off of the heels of my review of "Zodiac" I liken that review to more of a catchup and brush up on Jake Gyllenhaal and where he is as an actor. The more I see, or re-watch of his career I wonder why he isn't as popular as most other actors of his ilk. I really don't think there is an actor working right now that takes as many chances and transforms himself as often outside of maybe Christan Bale. He takes on difficult roles, owns them, and is still able to play someone that we the audience slightly relate to. This brings me to his latest role, another turn in his career that you could also call a career-defining role. 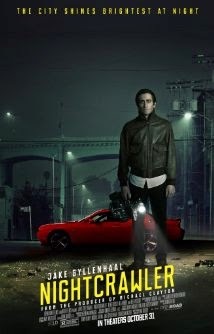 That film is "Nightcrawler" a gritty neo-noir in the vein of "Drive" "Network" and a dash of "Collateral." "Nightcrawler" takes the classic trope of following the American Dream to extreme, but somehow, necessary lengths. 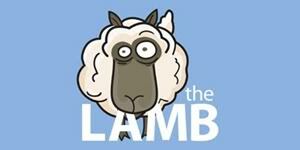 Louis Bloom (Gyllenhaal) is a small-time crook looking for a chance to prove himself. Fate knocks at his door one evening when he witnesses a woman being rescued from a burning car by two police officers. It's not the women's distress that catches his attention however, it's the cameramen who capture the harrowing rescue which appears on the news the next day. Being the go-getter that he is, Bloom procures funds to buy a camera and decides his calling is to "nightcrawl." Finally capturing some useable footage, Bloom delivers the goods to late-night news director, Nina Romina (Rene Russo) and the two begin a working relationship much to the chagrin of Nina's co-worker Frank Kruse who finds the "if it bleeds, it leads" method of news broadcasting lacking. Bloom continues to thrive in his new calling and teams up with Rick, a homeless Angelino looking for a shot, just like Bloom. The stakes reach their apex after Bloom and Rick witness a deadly home invasion which leaves three people dead. Sensing a breakthrough, Bloom puts all the pieces together in order to not only get the best news story, but to create the news himself. 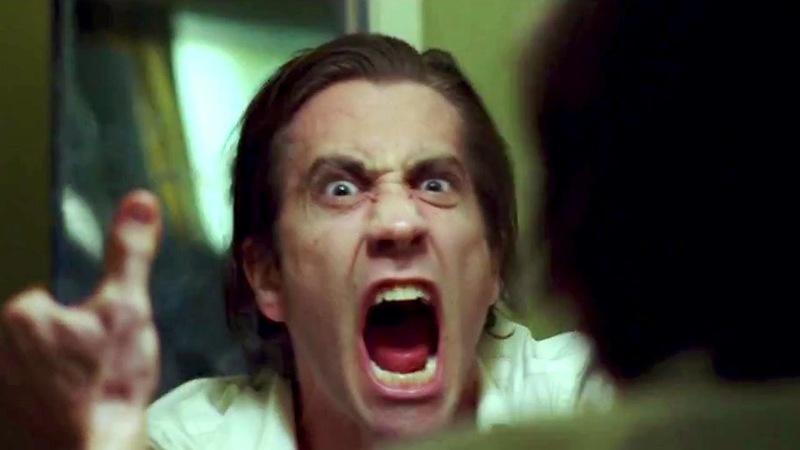 There is a lot that could be given away in my synopsis, so I'll stop right here because all the fun of "Nightcrawler" is to actually go on this twisted journey that features some of the best acting to date from Gyllenhaal. His take on Lou Bloom, starting from a scab who is stealing manhole covers and reselling them to a scraper, to a video camera-wielding scab making real money and becoming his own boss. One scene which stands out is Lou and Nina's discussion about compensation for footage which Lou is trying to sell. While Nina tries to stonewall him, Lou knows everything he needs to say in order to shut her down and not only gets what he wants, but turns the tables in favor of his eventual endgame. There is a lot of talk about "Nightcrawler" also being the "Network" for this generation. Well, having seen "Network" I say that is a pretty easy comparison being that this film is namely about the sensationalism of violence in our society and the apathy that news directors have in order to keep showing up the worst of humanity. Russo's turn as Nina Romina is very similar to Faye Dunaway's turn as Diana Christensen. Both are cutthroat newswomen, but unlike Christensen, Romina, while she thinks she is in control, is overtaken by Bloom who knows much more than she thinks he does. This also brings up a good point; how we obtain information in this day and age. Unlike 1976, there really wasn't a precedent for the Internet and the sharing of information at a massive scale. Lou is able to position himself where he knows more about Nina than Nina almost does which gives him all the advantage he needs in an situation, which leads to some of the film's best, and intense, scenes. The Gilroy trio of Dan, Tony, and John, who direct, produce, and edit, respectively, create a vision of Los Angeles that is lively, dreamlike, and something out of a horror film all at the same time. However, my one minor gripe is the score of James Newton Howard. The score simply doesn't seem to fit the setting of this seedy underbelly of LA. It's a little too.....chipper? And this isn't even to say that the score is bad, it just doesn't fit. Overall, "Nightcrawler" is everything it sets out to be; a social commentary with top-notch acting, solid action sequences, that looks great to boot. As it stands now, Gyllenhaal's performance is by far my favorite of the year, and it will be a shame if he's not one of the five nominees for an Oscar this year. Fun Fact: Gyllenhaal lost over 20 pounds in order to obtain the gaunt look of Lou Bloom.